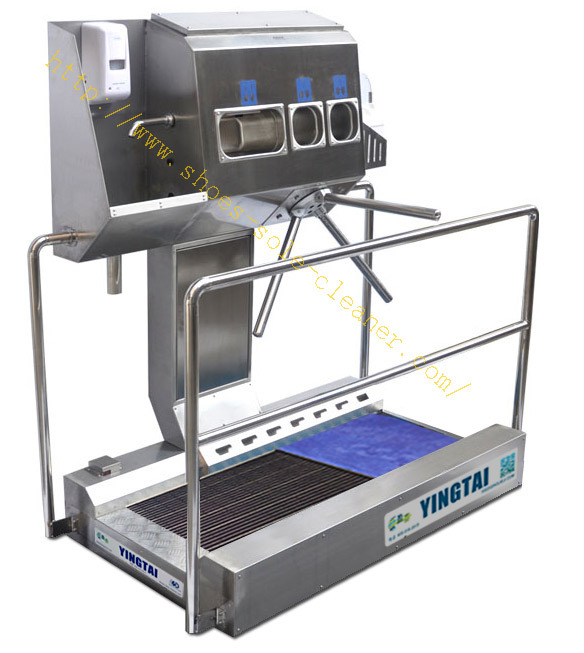 Shoes sole cleaner and shoes bottom washer, automatic shoes sole cleaning machine for home, hotel, restaurant, office, dust-free workshop, laboratory, food processing plant, hospital disposal room, etc. 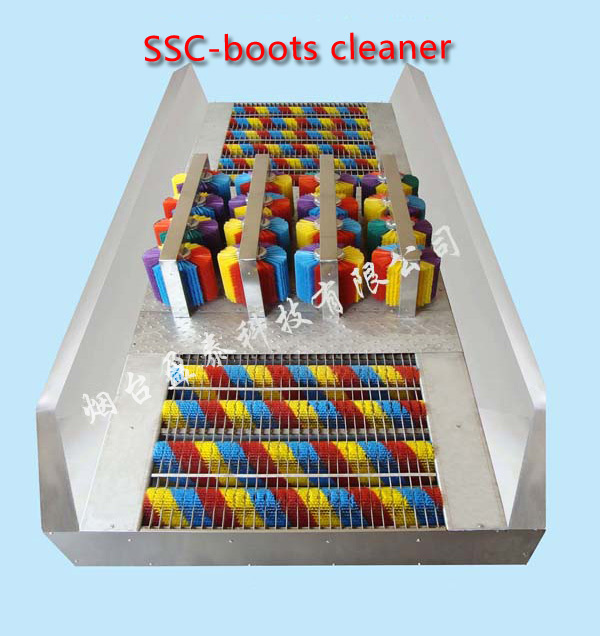 SSC is the leader of shoes sole cleaning machine industry, a professional entrance hygiene procedures solutions provider, since 2002. A completely different entrance cleaning machine. 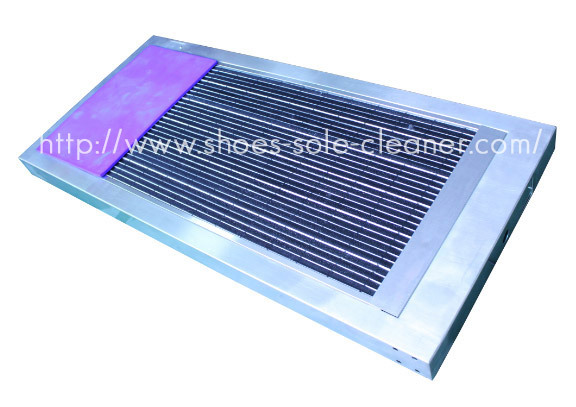 A automatic shoes sole cleaning machine works like a big automatic door mat, the brush belts move under your soles, our Ultra-thin version cleaner is very thin, the thickness is only 20mm. SSC offers several shoes sole cleaning systems for various applications. 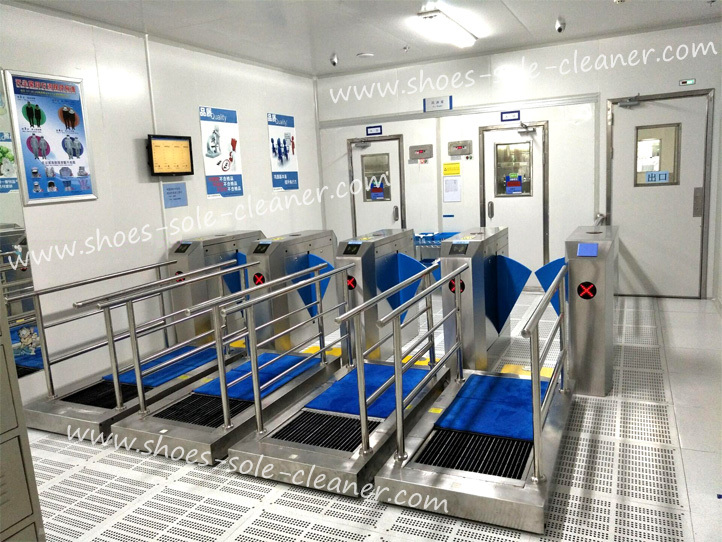 Shoes sole cleaning machines, shoes sole cleaning, dust removal equipment, air shower, cleaning room dedicated. Sole hygiene cleaning machine expert! - SSC Technologies, the world's first ultra-thin embedded 4mm sole cleaning machines, floor height of 10cm or less embedded host, sole cleaning dust while achieving barrier-free access. It can be widely used at the entrance of enterprises, hotel clubs, offices, villas etc. Corridor microwave sensor automatic cyclic wet shoes sole cleaner, water level, sewage intelligent automatic control, available people simultaneously. Mainly used in electronic appliances, pharmaceutical, food processing, precision instruments, hospital laboratories, research institutes and other health conditions require a higher place. Entrance cleaning hygiene systems: Widely used in clean room, clean room, air shower entrance, electronics, pharmaceutical, food processing, precision instruments, hospital laboratories, research institutes and other personnel exchanges and health conditions are more demanding places. Features: excellent cleaning effect, automatic water cycling, For many people to use, durable, easy to use, simple to maintain. Make your entrance more safe by reducing wet floors and dirt in bad weather conditions. Easy and fast: just walk through it, Silent brush belts running in counter direction wash your shoe soles efficiently and safely. Walk on the absorbent mat, this process is very fast. It helps keeping out dirt, mud, wets, grit away from your room. All products are made of stainless steel. we produce various sizes depending on your needs. We do not only clean your shoes soles but also bring a clean and clear life room. Shoes sole cleaner tech. SSC Copyright (C) 2002-2019 www.shoes-sole-cleaner.com All rights reserved.